I personally like this place. This temple is located in the midst of the city at higher altitude. It is very peaceful and you can have a good glimpse of city life. Evening visits are recommended. It is open to non-hindu too. Photography is not allowed inside the temple. It is a two-floor temple and situated on top to Altinho hills. The temple celebrates “Mala Jatra” a ten days event during the month of February. There is also daily aarti and special pooja every Saturday. 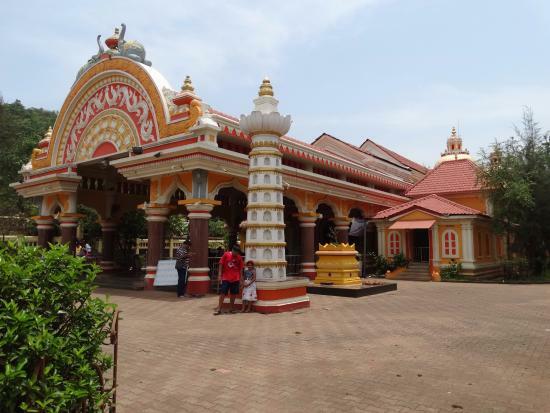 A perfect blend of modern day art and traditional Hindu pattern, Mangeshi Temple is a must to visit place in Goa. This temple is dedicated to Bhagavan Manguesh, an incarnation of Shiva and is located around 18 km from Panjim. This temple is dedicated to Bhagavan Manguesh, an incarnaEvery Monday, the idol of Manguesh is taken out for a procession in the Palakhi accompanied by music before the evening Aarti of Shiva. How to reach: It is easily accessed by buses from Margao or Panjim. The nearest bus stop is Ponda bus terminus. 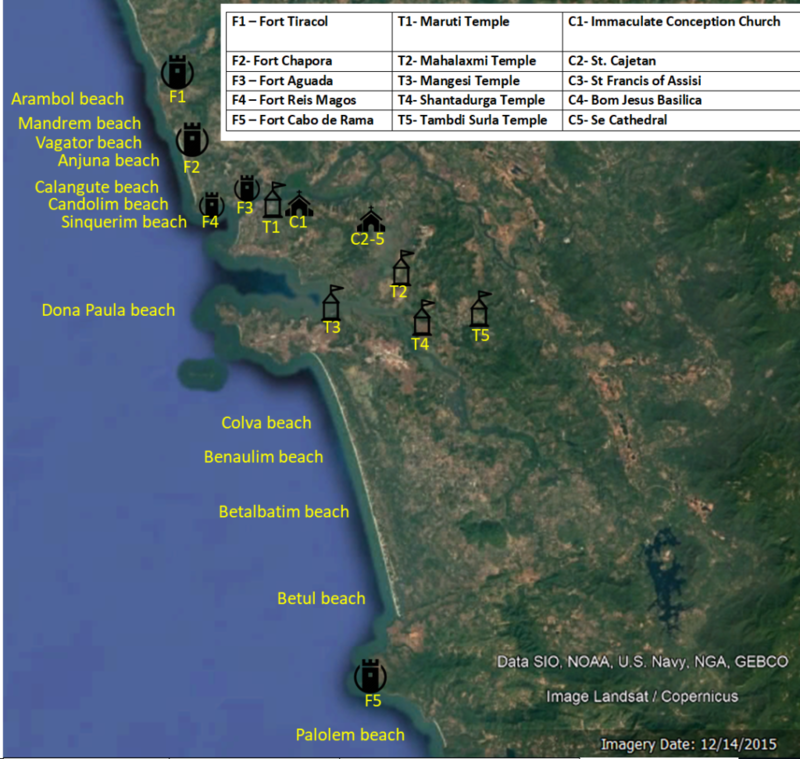 The temple is around 30 km from Panjim city. It is dedicated to Goddess Shantadurga the Goddess of Peace. The original temple was located in Cavelossim and after being destroyed by Portuguese it is shifted to Kavlem. The Jatra (annual festival) is held during December. The idol is taken out in a procession in a golden palanquin during the festival. Some of the important festivals that are celebrated at the temple are Lalkhi Utsav, Muktabharani Utsav, Tulsi Vivah and Kala Utsav. Hindus and Christians both worship at this place and it is really a serene place to visit while you are in Goa. How to reach: The nearest bus stop, Kavlem is a 2-minute walk from this place. You can take buses from Margao or Panjim to reach this place. This Temple is dedicated to Lord Vishnu’s consort Mahalaxmi and is located 28 km from Panaji. The major festival here is Navaratri, Shri Ram Navami. The temple has a silver arched doorway with a pillared hall. The Goddess is considered a peaceful or Satvik form of the goddess. The main idol of the Goddess Mahalaxmi is also taken out during the festival of Mahashivratri, on a chariot carried on the shoulders of devotees. 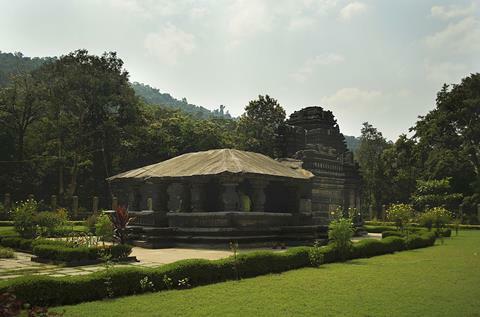 It is a 12th-century temple of the Lord Mahadeva and an active place of Hindu worship. It is notable as the oldest temple in Goa, India. It is placed near Bhagwan Mahaveer Wildlife Sanctuary. Temple is approximately 60 kilometers from Panaji. There is a headless Nandi right at the center of the temple. River Surla flows by the temple. The location is so pristine that you will definitely love to visit the temple not once but several times. The temple is surrounded by rich flora and cascading Tambdi Surla in the background. Some of the nearby most visited places are Bondla Wildlife Sanctuary, Famous Dudhsagar Waterfall. You will not find a good mobile network at this place. How to reach: There are direct buses from Panjim which takes around 2.5 hours. If you want to visit nearby places, it is advisable to hire a scooter or car.